This study aims to explore practice, use, and risk of electroconvulsive therapy (ECT) in pregnancy. A systematic search was undertaken in the databases Medline, Embase, PsycINFO, SveMed and CINAHL (EBSCO). Only primary data-based studies reporting ECT undertaken during pregnancy were included. Two reviewers independently checked study titles and abstracts according to inclusion criteria and extracted detailed use, practice, and adverse effects data from full text retrieved articles. Studies and extracted data were sorted according to before and after year 1970, due to changes in ECT administration over time. A total of 67 case reports were included and studies from all continents represented. Altogether, 169 pregnant women were identified, treated during pregnancy with a mean number of 9.4 ECTs, at mean age of 29 years. Most women received ECT during the 2nd trimester and many were Para I. Main diagnostic indication in years 1970 to 2013 was Depression/Bipolar disorder (including psychotic depression). Missing data on fetus/child was 12 %. ECT parameter report was often sparse. Both bilateral and unilateral electrode placement was used and thiopental was the main anesthetic agent. Adverse events such as fetal heart rate reduction, uterine contractions, and premature labor (born between 29 and 37 gestation weeks) were reported for nearly one third (29 %). The overall child mortality rate was 7.1 %. Lethal outcomes for the fetus and/or baby had diverse associations. ECT during pregnancy is advised considered only as last resort treatment under very stringent diagnostic and clinical indications. Updated international guidelines are urgently needed. 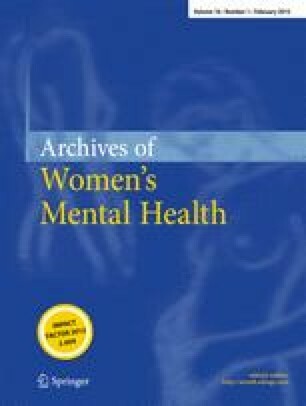 For patients with severe psychiatric disorders in the pregnancy period, either medication resistant illness, extremely high suicide risk, psychotic agitation, severe physical decline due to malnutrition or dehydration, electroconvulsive therapy (ECT) still appears as a strong option (Berle et al. 2011; 2003). Previous review publications have advocated ECT to be a relatively safe during pregnancy (Anderson and Reti 2009; Miller 1994; Reyes et al. 2011; Saatcioglu and Tomruk 2011). International ECT guidelines have no clear statements about pregnancy being a contraindication (American Psychiatric 2001; Enns et al. 2010; Royal College of Psychiatrists 2005). Checklists for when ECT is an option during pregnancy have also been provided in textbooks of interface between gynecology and psychiatry (Stewart and Erlick Robinson 2001), without mention of any potential risks to be taken into account. Prevalence of major depressive episode (MME) during pregnancy is estimated at 12.4 % (Le et al. 2011). Considering that depression is the most common mental disorder (63 %), followed by bipolar disorder (43 %) and schizophrenia (13 %) among deliveries to women with atypical antipsychotic use (Toh et al. 2013), the decision of ECT during pregnancy would not appear uncommon. Although prevalence data on ECT administered during pregnancy is not retrievable, and ECT clearly rarely used during pregnancy in most clinical settings as illustrated by a recent review of contemporary use and practice of ECT worldwide (Leiknes et al. 2012), ECT was noted administered during pregnancy at 10 Polish sites (Gazdag et al. 2009) and also in Spain (Bertolin-Guillen et al. 2006). Administration of psychotropic drugs during pregnancy requires great caution and benefits must be weighed against potential risks, especially in the first trimester (Stewart and Erlick Robinson 2001). Although evidence for psychotropic medication teratogenicity is generally lacking or limited (Gentile 2010), mood stabilizers such as lithium and valproate are strongly discouraged (Berle and Spigset 2003; Gentile 2010) and carbamazapine controversial (Gentile 2010; Stewart and Erlick Robinson 2001). As for antidepressants, a recent population-based cohort study data from the Danish Fertility Database has found no associated risk with use of SSRIs during pregnancy (Jimenez-Solem et al. 2013). For antipsychotics the risk associated with use during pregnancy is unclear (McCauley-Elsom et al. 2010). In a systematic review concerning children of women with epilepsy (WWE), no support was found for the common view that epilepsy per se represented a risk for increased congenital malformations (Fried et al. 2004). Conversely, a large population-based register study found a twofold overall risk of malformation in the offspring from WWE compared with those without epilepsy (Artama et al. 2006). Caesarian section in WWE has, also been found to be performed twice as frequently compared with the general population (Olafsson et al. 1998). Total prevalence of major congenital anomalies, is by a large European study (Dolk et al. 2010) reported as 23.9 per 1,000 births for 2003–2007 and 80 % live births. Prevalence of congenital heart disease (the most common birth defect) to be 4–6/1,000 live births by another USA study (Ermis and Morales 2011). In a previous review of the literature from 1941 to 2007 undertaken by Anderson and Reti (2009), with 57 included studies, ECT was reported administered to 339 women during pregnancy. The same review also reports a partial positive ECT response for pregnant women together with a very low number (N= 11) of ECT-related fetal or neonatal abnormalities. Whether these numbers can be reaffirmed and whether there is enough support for APAs the statement that ECT treatment has a “low risk and high efficacy in the management of specific disorders in all three trimesters of pregnancy” (American Psychiatric 2001) is a concern for this present review. Treatment of mental disorders in pregnancy poses a unique clinical challenge due to potential effects also on the fetus from the intervention. As ECT is utilized worldwide and predominantly in the treatment of women (Leiknes et al. 2012), updated knowledge about safety and risk of ECT treatment during pregnancy for both the mother and fetus/child is of utmost primary importance. Against this background, the main objective of this article is to give a systematic case overview of ECT administered during pregnancy, with newer date studies in mind, as well as to report the potential harm (adverse events for mother and fetus/baby). A systematic literature search was undertaken in the following databases: Ovid MEDLINE, Embase (Ovid) PsycINFO (Ovid), SveMed, Ovid Nursing Database and CINAHL (EBSCO) (Table 5 in Appendix 1) in September 2010. The search was updated in January and November 2012 and supplemented with ISI web of Knowledge, Clinical Trials.gov, PROSPERO (CRD), WHO ICTRP, POP-database (Table 6 in Appendix 1). Search terms intended for Medline were adapted (such) as required for the other databases. Subject headings and free text words used were “electroconvulsive therapy,” “electroshock,” “electroconvulsive,” “ECT,” combined with “pregnancy” or “pregnant women” and any of the following “antenatal,” “prenatal,” “perinatal,” “gravid,” or “gestation” limited to human studies and dating until today. The search did not exclude the postpartum period to make sure that no articles on the topic were missed. No date limitation was set to find all possible earliest published cases from the 1940s. Relevant references, known to authors of this review from earlier published reviews on this topic or reference lists in retrieved included papers, were also found by hand. Studies in the following languages were included: English, Norwegian, Swedish, Danish, Dutch, French, Italian, and Spanish. In addition to authors’ European language fluency, the online Google translation tool (http://translate.google.com/) was used when needed. Exclusion criteria include not a data-based study, no or unclear report of ECT undertaken during pregnancy, pseudocyesis, ECT undertaken only in the postpartum period, and not during pregnancy. Two reviewers (Kari Ann Leiknes (KAL) and Bjørg Høie (BH)) independently checked the titles, and where available, the abstracts of the studies identified by the electronic database searches. All references appearing to meet inclusion criteria, including those with insufficient details were requested in full text. Reviewers (KAL, BH, and Mary J. Cooke (MJC)), consisting of two pairs independently extracted data from the retrieved full-text articles according to a pre-designed data extraction scheme. All discrepancies were resolved by consensus meeting/discussion, and the final decision was made by the first author (KAL). Ingrid Harboe (IH) undertook the extensive updated literature search. All authors (including Lindy Jarosch-von Schweder (LJS) have contributed to the data presentation and manuscript text. Briefly, the following aspects were considered: ECT practice and use; publication year and country; diagnoses/indication; mother’s age; number of pregnancies (primipara (P1), multipara (P2, 3), etc. ); time ECT was administered according to number of gestation weeks (GW), 1st trimester (≤13 GW), 2nd trimester (14–26 GW), 3rd trimester (≥27 GW); total number ECTs administered, ECT administration frequency (two to three times week); ECT parameters (i.e., the manner in which ECT is applied: brief pulse or sine wave current, device type, electrode placement bilateral (BL) or unilateral (UL)); anesthesia type and monitoring (of both mother and fetus); time of birth; and adverse events mother (e.g., genital bleeding, miscarriage, eclampsia, and still birth) and/or baby (e.g., fetal malformations, Apgar score, etc.). As ECT treatment has changed over the years, as for use of anesthesia (termed modified ECT as opposed to unmodified ECT, without anesthesia), device and type of current (mainly from sine wave to brief pulse wave), a clinical cut off for presenting the extracted data was set at 1970. The study selection process, databases searched, and references identified are given in Fig. 1. Altogether, 1,001 references were identified: 681 titles and abstracts screened, 100 full texts screened, 67 included for data extraction, and 33 full texts excluded. Overview of included case studies (N = 67) according to descending publication year, country represented, number of pregnancy cases and fetus and/or baby cases reported are given in Table 1. Overview of full text excluded studies (N = 33) and reasons for exclusion are given in Appendix 2. Twelve references were found not relevant to topic (about ECT, but not in pregnancy, e.g., in postpartum or other conditions), 13 had insufficient/too sparse data, 3 were impossible to find/full text retrieve, and 5 were not relevant, for example, only about anesthesia types or electrical shock accident injury during pregnancy. Detailed extracted data from each included study, such as diagnostic indication, ECT parameters, report of effect and events are presented in Summary of findings tables (N = 67), Appendix 3. A total of 67 case report studies were included, 42 (63 %) from 1970 to 2013 and 25 (37 %) from 1942 to 1970 (Table 1). The literature search included all years, but no studies according to inclusion criteria of this review were found in the 1970s (see Appendix 2 for two excluded 1970s studies (Levine and Frost 1975; Remick and Maurice 1978) lacking ECT data). Studies from all continents were represented as follows: North America (USA and Canada), 32; South America, 1; Europe, 25; Asia (including Middle East), 6; Africa, 2; and Australia, 1. A total of 169 pregnant women were ECT treated from 1942 to 2013. Reports on the fetus or newborn baby/child were found for only 148 cases resulting in 12 % “missing” fetus/baby data (see Table 1). Altogether, 169 ECT treated pregnant women were identified, exposed to a total number of 1,187 ECTs. Mean and standard deviation (M (SD)) number of ECTs administered per pregnant woman was 9.4 (6.4). Mean age (M (SD) in years) of pregnant women treated with ECT was 28.9 (6.2) and age range 16½–48 years. Overview of ECT-treated pregnant women, number of ECTs, and diagnoses, after and before 1970 is given in Table 2. Almost two thirds (63 %) diagnostic indication for ECT was Depression/Bipolar disorder (including psychotic depression) from year 1970 until today (2013), but Schizophrenia and other diagnoses the main indication (54 %) from 1942 until 1970 (Table 2). Diagnostic data was not missing in any reports from 1970 to 2013, but missing (15 %) and sometimes very unclear in several earlier reports from 1942 to 1970. Category of “other” diagnoses included obsessive–compulsive disorder (OCD) (Barten 1961; Fukuchi et al. 2003), generalized anxiety with panic attacks (Bhatia et al. 1999; Simon 1948), and Neuroleptic Malignant Syndrome (NMS) (Verwiel et al. 1994). Altogether 21 out of 54 (39 %) women were nullipara (Para1) in the later years (from 1970 to 2013) (Table 2) and for one case in 2011 the pregnancy was by in vitro fertilization (Salzbrenner et al. 2011). The latest ECT administered in pregnancy was at 40 GW (Laird 1955; Schachter 1960) and the earliest at 4 GW (1955). Information about which pregnancy trimester the ECT was undertaken or started was found for 121 women out of 169 (28 % missing). Overview of the ECT reports according to pregnancy trimester for these 121 women is given in Table 3. Most women (53 %) received ECT during the 2nd trimester, although use in the 1st trimester was not uncommon (16 %) and for some, ECT was conducted throughout the entire pregnancy (Pinette et al. 2007). Generally, the data reported in all studies was very varied concerning the ECT intervention per se, the setting of administration, monitoring, and outcome for both mother and fetus/child. The setting in which the ECT was administered was usually not recorded. However, ECT undertaken in a surgical-obstetric recovery room or delivery environment was noted by three (Gilot et al. 1999; Wise et al. 1984; Yellowlees and Page 1990). Monitoring of mother before, during, and after varied. In addition, monitoring of fetus varied greatly from some monitoring to no fetal monitoring by Vanelle et al. (1991). There was some use of cardiotocography (Molina et al. 2010; O’Reardon et al. 2011; Verwiel et al. 1994) but cardiotocography was also noted as not being useful in early pregnancy (before 24 GW) by Lovas et al. (2011). Mother in tilt position during ECT was used in some reports (Brown et al. 2003; Gilot et al. 1999; Livingston et al. 1994; Malhotra et al. 2008; Yang et al. 2011) and by others tilt position was reported not used (Bhatia et al. 1999; Bozkurt et al. 2007; DeBattista et al. 2003). ECT parameters, such as electrical current type (brief pulse or sine wave), placement of electrodes (UL, BL, bitemporal, and bifrontal) and device manufacture type used was noted in most studies of later date but otherwise very sparsely. (See summary of findings table, Appendix 3). UL placement of electrodes was noted in six studies (Balki et al. 2006; Gahr et al. 2012; Pesiridou et al. 2010; Varan et al. 1985; Wise et al. 1984; Yellowlees and Page 1990). Data on anesthetic agents used combined with muscle relaxant, premedication and 100 % oxygenation was mainly stated in the later date studies (1970 to 2013). Although 13 % of these later date studies (1970 to 2013) were missing anesthesia data, a trend was seen for the following being most used: thiopental (22 %), methohexital (15 %), and propofol (17 %). Anesthesia induced reduced fetal heart rate (FHR) was noted with propofol but not thiamylal in an ECT pregnancy case by Iwasaki et al. (2002). In addition, severe fetal bradycardia by methohexital but not with following propofol anesthesia during ECT administration by De Asis et al. (2013). To avoid pulmonary aspiration, tracheal intubation was preferred by Malhotra et al. (2008) when pregnancy was beyond 1st trimester. Unmodified (without anesthesia) ECT was noted in the earlier studies (from 1942 to 1970), such as in all 8 cases reported by Laird (1955) and in 6 out of 15 cases by Smith (1956). Even use of only muscle relaxant without anesthesia was noted in 7 ECT pregnancy cases by Doan and Huston (1948). Fetus or baby/child data was sometimes totally absent even in the later date studies, such as in Gahr et al. (2012) and Ghanizadeh et al. (2009) as well as some earlier ones, for example Russell and Page (1955). Some reported new born baby Apgar score and weight, but most often the information on the newborn infant was meager and the condition of baby/child noted as normal, “healthy baby,” or nothing abnormal. Information about monitoring of fetus during ECT varied greatly from none at all, to obstetric consultations and ultrasonography between treatment sessions (Espínola-Nadurille et al. 2007; Kasar et al. 2007; Serim et al. 2010) to before and after FHR and Doppler monitoring (O’Reardon et al. 2011). Although most studies had no follow-up data on the children, some had sparsely noted follow-up at 1 month (Repke and Berger 1984), 3 months (Yellowlees and Page 1990), 18 months (O’Reardon et al. 2011), 2 weeks to 5 months (Sobel 1960), 2½ years (Yamamoto et al. 1953), and 6 years (Evrard 1961). A more detailed follow-up study from 1955 by Forssman (1955) of 16 children, whose mothers were given ECT during pregnancy between years 1947 and 1952, was excluded since it contained only data on the children without any ECT during pregnancy data on the mothers. No deaths of mother/ECT treated pregnant patient were found in any studies. Overall (all years), child mortality rate was 7.1 % (12/169), and from 1970 to 2013 mortality rate was 9.4 % (5/54) and from 1942 to 1970, 6.1 % (7/115) (see Table 1). Lethal outcomes for the fetus and/or baby were stated to have diverse causes, in one case a long lasting severe grand mal seizure (status epilepticus) induced by ECT (Balki et al. 2006). A combination of insulin coma treatment and ECT was found for 3 early studies in the period 1946 to 1954 by Kent (1947), Gralnick (1946), Wickes (1954)—all with severe very adverse outcome for the fetus/baby. Overview of all reported adverse events for ECT treated pregnant women and fetus and/or baby child are given in Table 4. Report of adverse advents was high for both pregnant women and fetus/child in studies of later date period (1970 to 2013) compared with earlier date period (1942 to 1970) (see Table 4). Vaginal bleeding was reported more often during the 1st trimester, whereas uterine contractions, premature labour and caesarian sections occurred during 2nd and 3rd trimesters. The use of tocolytic treatment after ECT in order to avoid preterm labor was also noted by several (Fukuchi et al. 2003; Malhotra et al. 2008; Polster and Wisner 1999; Prieto Martin et al. 2006; Serim et al. 2010; Yang et al. 2011), as well as use of prophylactic tocolytic medication before ECT (Malhotra et al. 2008; Polster and Wisner 1999). Altogether 169 ECT treated pregnant women of mean age 29 years, were identified. They were treated with mean number of ECTs 9.4, as treatment for mainly (62 %) severe “psychotic” depression/bipolar disorder. Half (53 %) of pregnant women received ECT during the 2nd trimester. ECT in the 1st trimester was not uncommon (16 %) and for some, ECT was conducted throughout the entire pregnancy. Altogether, 24 % women were nullipara (Para1). Fetus and/or baby report was found missing for 12 %. Child mortality rate was overall (all years) 7.1 %. A total of 67 adverse events were found among 169 women (rate, 0.40). Most common adverse event for mother was premature labor (born between 29 and 37 GW) 19/67 (28 %) and tocolytic treatment often noted. A total of 35 adverse events were found among the reported 148 fetus/baby children (rate 0.24). The most common reported adverse event for fetus/baby child occurring during the ECT intervention was reduced FHR 15/35 (43 %). Whether the reduced FHR event is attributable to the ECT intervention per se or to the anesthetic agent or to both is not possible to say from such descriptive case studies. Due to the complexity of the ECT indication, the intervention per se, previous or concomitant psychotropic medication or other complicating somatic or genetic factors, direct causal inference is not possible to take from case studies. This being said though, having in mind that the risk of fetal malformation in WWE is twofold higher (Artama et al. 2006), and caesarian section performed more often among WWE (Olafsson et al. 1998), the potential risk involved with ECT induced epileptogenic seizures must in each case be considered. Such as illustrated in the recent publication by De Asis et al. (2013), where the ECT induced prolonged seizure duration occurred alongside severe reduced FHR and emergency Caesarian section prepared, but later abandoned when the FHR returned to normal. An earlier study (Balki et al. 2006) also reports severe ECT induced status epilepticus with lethal outcome for the fetus/child. As for the overall occurrence of serious adverse events, such as stillbirth/neonatal death 8/35 (23 %) and fetal malformation 7/35 (20 %), the rates appear higher than that reported in the general population, i.e. 2.3 % major congenital abnormalities and 80 % live births (2010) and 0.6 % congenital heart disease (Ermis and Morales 2011). Some included studies though claim the miscarriage rate not to be higher than in the general population (Malhotra et al. 2008) and ECT to be less risky than pharmacological treatment (Kasar et al. 2007). However, figures from case studies cannot directly be compared with figures from large observational prevalence studies. This being said, close monitoring of mother and fetus during and after ECT treatment taking into regard the trimester situation, is crucial to bear in mind, such as use of cardiotocography, ultrasound between treatments, tilt position for mother including tocolytic treatment to prevent preterm labor. All these monitoring factors varied greatly in the included studies. Direct effect of anesthetic agents on the fetus is still relatively unknown (Iwasaki et al. 2002). FHR variability and reduction under the ECT intervention is often mentioned as something to expect to happen. Propofol’s known associated risk of bradycardia calls for alertness from a fetal cardiovascular viewpoint and extra caution is needed where the fetus is immature or has cardiovascular complications. Thiopental (22 %), methohexital (15 %), and propofol (17 %) are the most used anesthetic agents. However, case studies with both anesthesia in favor of propofol (De Asis et al. 2013) and that against it (Iwasaki et al. 2002) are published. Knowledge about when and how to administer ECT in early pregnancy, in order to reduce risk for both mother and fetus, is limited. Cardiotocography monitoring for the fetus, in this early period (before 24 GW) is not so feasible (Lovas et al. 2011). Risk of post ECT vaginal bleeding (indicative of abruptio placenta) and abortion (Vanelle et al. 1991) is mentioned. The complexity of any causal attribution to ECT is illustrated in the case by Yang (Yang et al. 2011) reporting congenital hyaline membrane disease and hypertrophic pyloric stenosis in a premature baby delivered by emergency section, since the mother had been treated with an extensive amount of antipsychotic and antidepressant medication prior to admission due to a 15 year long history of schizophrenia. Transient FHR reduction (bradycardia) arising during the ECT and subsiding afterwards is commonly reported from this trimester period, likewise post-ECT uterine contractions. The need for both pre- and post-ECT tocolytic treatment in order to avoid preterm labor is considerable (Fukuchi et al. 2003; Malhotra et al. 2008; Polster and Wisner 1999; Prieto Martin et al. 2006; Serim et al. 2010; Yang et al. 2011). Tilt position is recommended by several, especially in the last trimester in order to reduce risk of gastric reflux. Also inhalation anesthesia is pointed out by Ishikawa et al. (2001) to be beneficial in the last stages of pregnancy in order to reduce uterine contraction and potential uterine relaxation effect of anesthetics. The overall total number of included studies (N = 67) in our review is larger than the 57 by Anderson and Reti (2009). However, overall total number of ECT treated pregnant women (N = 169) is much less than the 339 by the same authors (Anderson and Reti 2009). Unlike the Anderson and Reti (2009), numbers of ECT treated pregnant women referred to by others in the general text of the case article, have not been included in this review. Strictly according to the predetermined review criteria, only direct case reports by the study authors are included in the total count number (169) of pregnant ECT treated women by us. For example, only one case is included in this review from the publication by Impastato et al. (1964) as opposed to 159 cases by Anderson and Reti (2009), and we have not included the Forssman (1955) follow-up of 16 infants/children on ECT treated mothers, since this study contains no ECT pregnancy data, i.e. data on the mothers treatment. Likewise the study by Levine and Frost (1975) is excluded by us, since it only contained information about anesthesia type and cardiovascular responses to ECT in a 3rd semester pregnancy and no other information. Previous studies, such as that by O’Reardon et al. (2011) and previous reviews (Anderson and Reti 2009; Miller 1994; Saatcioglu and Tomruk 2011) as well as international guidelines (American Psychiatric 2001; Enns et al. 2010; Royal College of Psychiatrists 2005) and recent textbooks (Stewart and Erlick Robinson 2001) have regarded ECT to be relatively safe during all trimesters of pregnancy. Contrary to this standpoint, our review and overview of recorded adverse events from all case studies call for great clinical caution. Voices of concern, similar to ours, appear also in the included study Pinette et al. (2007) and APA statements regarding ECT as a safe intervention during pregnancy questioned. The previous held opinion by the Miller (1994) review concerning potential complications from ECT during pregnancy to be minimized by improved technique, are also questioned by our results. The study by Salzbrenner et al. (2011) provides a 10-point checklist for pregnant women undergoing ECT. Similarly, a 14-item list for general measures and routine anesthetic measures in order to avoid gastric reflux is provided by O’Reardon et al. (2011). The need for close clinical collaboration between gynecology/obstetrics, anesthesiology and psychiatry together with clear responsibility is evident. Textbook checklists for when ECT is an option during pregnancy (Stewart and Erlick Robinson 2001) need updating of potential risks to be considered. Our results reveal that all potential risk arising from the complexity of ECT intervention, the grand mal seizure, anesthetic and concomitant or previous psychotropic medications, is of great concern and must be taken into account for both mother and fetus/child, and weighed against the clinical benefits, when deciding to administer ECT during pregnancy. Ethical considerations and possible ethical violations for both mother and the unborn non-consenting child are not discussed. Conflicting opinions can easily arise, such as that described by Polster and Wisner (1999) where the obstetrician advised that ECT be discontinued after premature labor treatment in the obstetrics unit, but ECT was continued by the psychiatric unit. All arguments from this review support the need for holistic clinical decision making and caution when ECT is considered as an option during pregnancy. The strength of this paper is the thorough, systematic review of all published literature without any data limitation. Data extracted from the included studies have strictly been limited to primary case presentations by the authors and not secondary “known to the authors” numbers referred to by the authors in the body text. Likewise all other literature review studies on the subject without any primary case data have also been excluded. The most consistent findings in all included studies was the number of ECTs administered, thereafter the diagnostic indication, pregnancy length, ECT parameters, anesthesia type, condition of both mother and child, the latter was somewhat more dependable in newer date studies. The strength of case study design is the reporting of rare and adverse events, however limitations as for this design must clearly be taken into account. A limitation is uncertainty in the very oldest published cases, where case presentation is mixed with cases “known to authors” in the manuscript text, to completely document all cases since the introduction of ECT in 1938. The earliest published case reports are also much more likely to be mixed with other treatment forms, such as insulin coma, which is not used and out of date today and these mixed treatment reports therefore not so relevant for today’s practice. No prospective or controlled study design of ECT in pregnancy are found, case studies alone in this field provide the knowledge background. Case studies are susceptible to reporting and publication bias, and only descriptive aggregation of study data is possible, no meta-analyses. As cases of ECT during pregnancy where the treatment went well are most likely not published, the included studies in this review might very well be over represented with adverse event reporting. ECT during pregnancy should be a last resort treatment. For example in cases of severe depression, catatonia, medication resistant illness, extremely high suicide risk, psychotic agitation, severe physical decline due to malnutrition or dehydration or other life threatening conditions (for example malignant neuroleptic syndrome), where other treatment options are not possible or very inadequate. All potential risks of the ECT treatment, taking into account both mother and fetus, should be weighed against benefits. The ECT should be administered in a hospital emergency setting or delivery room. Information to patients of all possible risks involved should be considered compulsory. ECT during pregnancy should be administered by a highly skilled and competent specialist team consisting of psychiatrist, gynecologist/obstetrician, and anesthesiologist. Monitoring of patient under ECT treatment and also in the recovery room should include midwife and psychiatric nurse. The establishment of a multi-disciplinary specialist team bearing full treatment and follow-up responsibility is fundamental for the safety of the intervention. Case reports on ECT administered during pregnancy provide vital knowledge. ECT during pregnancy is advised considered only under very stringent diagnostic and clinical indications, weighing all potential risks against benefits. Updated clinical guidelines are urgently needed in this field. This study has been possible because of research commissioning on the topic “ECT for depression” from the Norwegian Directorate of Health to the Norwegian Knowledge Centre. We thank the Norwegian Knowledge Centre’s research librarian Karianne Thune Hammerstrøm (KTH) for designing and undertaking the first primary literature search. (Antenatal$ or prenatal$ or perinatal$).tw. (Pregnan$ or gravid$ or gestation$).tw. (1) Case 33 years, pregnant (para 3) with bipolar disorder. ECT was planned given during pregnancy but due to spontaneous rupture of membranes and Caesarian section at 29 gestation weeks (baby reported ok), ECT was administered in postpartum period. Diagnoses, rating scales (e.g., Hamilton Depression (HDRS)), Medication, etc. Brief pulse or sine wave current, device, etc. Oxygenation, monitoring of mother (patient) and fetus (fetal heart rate (FHR)), etc. Stillbirth, neonatal death, neonatal respiratory distress, etc. Postpartum treatment, symptom remission or relapse, other information, etc. On 2nd ECT at 24 GW, prolonged seizure duration 201 s and fetal heart deceleration (profound bradycardia) after 120 s. Medazolam given to stop seizure. Device: Thymatron DG ECT unit, Somatics, LLC. augmented with propofol without the use of volatile anesthetics. 1 h after 1st ECT session uterine contractions, regarded as pre-term labor. Tocolytic treatment with 50 mg ritodrine and 500 ml intravenous dextrose. FHR variability 140–160 bpm under ECT. Severe depression, psychomotor agitation, dysphoric. paroxetine plus quetiapine augmentation). Graves disease, treated with propylthiouracil. FHR monitoring before and after ECT with Doppler monitor until GW 30. Baby girl, 6 lb 7 oz. Improvement after 3 ECT sessions, HAM-D24 score reduced from 40 to 20 with similar changes in other scores. History of hypothyroidism, obesity, hypertension, diabetes mellitus. Conceived via IVF with donor egg. Postpartum prophylactic oral medication (lithobid) to avoid mania symptoms. Medicated with quetiapine 750 mg/d, diazepam 10 mg/day at GW 6, haloperidol given for 5 days. Not intubated for the first 15 ECTs. Propofol and suxamethonium. Pre- oxygenization. In last 6 ECTs rapid sequence induction anesthesia technique used. Monitoring: Electrocardiography, blood pressure and arterial oxygen saturation. Abdominal pain in 4th ECT session. Medication: Quiatipine and lamotrigine medication in 3rd trimester. Anesthesia. Propofol 1 mg/kg and muscle relaxant rocuronium. Mask oxygenation. After 5th ECT patient improved (HDRS 8). Two weeks after 10th ECT psychotic and depressive symptom relapse. Uterine contractions after one ECT session for 2–3 min in need of tocolytic treatment by obstetrician. FHR decreased to below 120 bpm in 2–3 s during one ECT session. 13 ECTs altogether for both 2 cases. Frequency, 2 ECTs per week. FHR decline under 6 ECTs (not specified to which case). No age, P or GW data. History of mental illness 12 years. Moderate vaginal bleeding after 3rd ECT, lasting 12 h. Given 6 more ECTs, improved and discharged. No uterine contractions or pain. ECT administered in early pregnancy. Premedication 2 h prior to ECT with ranitidine, metoclopramide and isoxsuprine. Preoxygenated for 3 min with 100 % oxygen. Anesthesia: Thiopentone and muscle relaxant succinylcholine, tracheal intubation. Monitoring fetus: fetal cardiometry. Monitoring patient: heart rate, blood pressure, pulse oximetry, electrocardiogram end-tidal CO2. Beyond 1st trimester tracheal intubation preferred to avoid pulmonary aspiration. Bipolar disorder with severe depressive episode. History of bipolar disorder since 16 years old. Anesthesia: etomidate, propofol and muscle relaxant suxamethonium. ECT discontinued after 10th ECT due to premature delivery threat. Delivery at 36 GW. Baby girl healthy, 3,120 g.
13 ECTs (3 times weekly) given in one month and 3 ECTs monthly for maintenance until 32 GW before birth. Anesthesia: Thiopental 250 mg, 100 % oxygenation. Airway and cricoid pressure used (not intubated). Mother pelvis pain after 8th and 9th ECT. FHR reduced to 90 bpm after 13th and 16th ECT, rose to baseline after 2–3 s.
HDRS score reduced from 33 to 7 (at 10th ECT) and to 3 at release from hospital. Major depressive disorder with psychotic features and suicidal ideation (HDRS 47, IQ 71). In 4th ECT anesthesia: Propofol 1 mg/kg and muscle relaxant succinylcholine. Baby premature healthy, 2,600 g.
Preeclampsia development: elevated blood pressure and urine protein level. FHR recorded after each ECT with no abnormalities. 1 and 5 min Apgar scores, 4 and 7. Patient and fetus were monitored. Tocolytic treatment given when uterine contractions detected after ECT. After 6th ECT FHR deceleration observed. 1 ECT (with 3 successive electrical current stimulations given). Anesthesia: Thiopental 250 mg and muscle relaxant succinylcholine 100 mg. Endotracheal intubation. 40 % oxygenation. Patient monitored with electroencephalogram (EEG). MRI scan of brain taken showing increased signal over parietal area consistent with seizure activity. After last 3rd ECT stimulus continuous grand mal seizures occurred. Anesthesia: Thiopental 3 mg and succinylcholine 1.6 mg/kg. Thiopental (in first 2 ECTs), etomidate (in last 3 ECTs) with muscle relaxant succinylcholine, 100 % oxygenation. Premedication with bicitra per os and intravenous metoclopramide to avoid gastric reflux. Maternal electrocardiogram, blood pressure monitoring and EEG during ECT. FHR monitored with Doppler before and after ECT. In 5th ECT FHR deceleration down to 60 bpm, lasting 3–5 s.
Anesthesia given but type unknown. Uterine contractions after 2nd ECT, tocolytic treatment with ritodrine. Anesthesia: thiamylal or propofol. Propofol chosen when severe nausea after thiamylal. Patient gradually improved after ECT. Anesthesia: 240 mg thiopental and muscle relaxant 80 mg succinylcholine. Additional 80 mg thiopental given in order to discontinue seizure. After 1st ECT uterine contractions every 2–3 min. Premature labor, tocolytic treatment with indomethacin and ritodrine. Trichomoniasis infection of urinary tract treated with metronidazole and nitrofurantoin. Obstetrician advised ECT discontinued after premature labor treatment in obstetric unit, but ECT was decided continued by psychiatric unit. History of 8 years recurrent mood disorder. Treated with clomipramine and phenothiazine. Also amitriptyline, haloperidol, oxazepam and nitrazepam. FHR change observed during anesthesia. Fetus examination at 32 GW as normal. At 34 GW, signs of fetal ascitis on routine ultrasonography. Baby boy, Apgar score 8 and 9. Immediate surgical treatment for vascular meconium peritonitis. Ascitic fluid sterile, no bacteria or virus found. Baby died 9 days later, due to metabolic post-surgical complications. ECT administered in a surgical-obstetric environment. Recurrent major depression (last episode started at 15 GW). Also dysmorphophobia and OCD thinking patterns. Treated with desipramine, lorazepam and loapine succinate at GW 35 for 2 weeks before ECT. History of 5 years, multiple admissions and imipramine medication without sufficient effect. Generalized anxiety with panic attacks. Treated with desipramine, oxazepam and tryptophan without sufficient response. Case 1: Anesthesia: Thiamylal, succinylchlorine and curare. 100 % oxygenation and intubation. Monitoring: pelvic examination, tocodynamometry and FHR. Anesthesia: Methohexital and succinylchlorine. 100 % oxygenation and intubation. 67 s seizure after 1st ECT. Case 1: uterine contractions after 2nd ECT. After 3rd ECT tocolytic treatment. After 6th ECT uterine contractions lasting 12 h post ECT and transferred to maternity ward. FHR variability during uterine contractions and decreased in 3rd ECT. Case 1: after 6th ECT absence of fetal movement for 25 min. ECT administered in delivery room. Both patients mental status reported improved after ECT series. At follow-up 6 months after ECT both patients symptom free. Premedication 0.01 mg/kg Atropine. Pre-oxygenated 100 % oxygen for 2 min. Thiopental 4 mg/kg and muscle relaxant succinylcholine 1 mg/kg. After 2nd ECT vaginal bleeding. Severe depression. At admission confused, suicidal, violent, not eating and delusional. Medication prior to ECT: nortriptyline, perphenazine, fluoxetine, thiothixene, benzotropine mesylate. Fetal outcome (death) for one twin infant. Both infants normal 46XX karyotypes. Treated with clorazepate and oxazepam in pregnancy. thiopental 125 mg and succinylcholine 35 mg.
History of previous depressive episodes and hypomania. Treated with Quinuprine (tricyclic antidepressant) and clomipramine in 1st trimester without effect. ECT due to melancholic and delusional state. ECT due to psychotic anxiety state. History of melancholy, hypomania previous abortion. Anesthesia: Propanidid (Epontol) and muscle relaxant (at low dose to avoid uterine contractions) and oxygenation. At 31 weeks tocolytic treatment with terbutaline. At 34 weeks observation in delivery suite needed due to bleeding. Anesthesia: Glycopyrrolate, methohexital and succinylcholine with 100 % oxygenation. Intubated each time. 17 days after last ECT relapse of symptoms, readmission and medicated with haloperidol. 30 years, P2, GW 22 (at admission) GW 23 (at ECT start). East Indian woman. ECT shock 1.00-1.25 s and current 60Hz with 1.6-msec pulse width. Thiamylal sodium and muscle relaxant succinylcholine. Normal parameters for maternal and fetal monitoring. Letter to editor. Sparse data. Long-standing history of psychiatric illness. 12 ECTs total over 24 days. right UL, 3 times weekly. Monitoring: EEG, electrocardiogram (EKG) and of mother. FHR by Doppler. Transient FHR bradycardia noted in tonic phase of treatment. At 38 GW mild pre eclampsia toxaemia diagnosed. Labour induced at term, normal vaginal delivery. Baby boy 4,270 g. Apger 9/9. History of psychiatric hospitalizations since age 20 years. Mild cerebral palsy diagnoses. Bilateral hearing loss since age 5. Small atelectasis of right lower lung lobe but no active pulmonary disease. Maternal blood pressure and pulse increased slightly immediately after ECT but no maternal or fetal heart arrhythmias. Symptoms improved after 6th ECT. After 9th ECT mildly hypomanic. Discharged with outpatient planned maintenance ECT. Obstetrician and anesthesiologist present alongside psychiatric staff during ECT. No ECT type data except “low voltage”. General anesthesia and endotracheal intubation. Post ECT patient had brief episode of supraventricular tachycardia. No uterine contractions noted after ECT. Case 1: Anesthesia: Pentothal and muscle relaxant (succinylcholine chloride). Case 2: Anesthesia type unknown, succinylcholine noted. Case 1: In 7–8 ECT, at 34 GW, uterus also in constant contraction. On 10th shock no uterine contraction. Case 2: FHR deceleration. Patient had slight visible cyanosis lasting 30 s after ECT. Case 1: Baby boy, 3,450 g healthy. Case 3: moderate improvement. Delivery at 8½ months. Postpartum symptom recovery. Case 7: Vaginal bleeding after 2 ECTs. After 15 day pause, another 6 ECTs given. 7 baby children reported ok – no abnormalities. Case 1: 20 days postpartum relapse of symptoms and another 8 ECTs. No data on type or amount of ECT given to each case. 31 Babies. All with birth weight over 2,500 g (no premature babies). Fetal damage among ECT treated is reported as 6 % - but type of damage not specified. Overall sparse data and unclear. Fetal abnormality 6 % is commented as surprisingly high – and data otherwise lacking. Baby girl 2,000 g, premature, cyanotic in need of resuscitation, 34 GW. Case 1: Birth of daughter. Baby girl examined at 32 months. Case 2: Great improvement, then worse again. At 38 GW caesarian section. Case 1: ECT given early in pregnancy. Retarded condition. Case 2: GW 28 (7 months pregnant) Agitated condition. Case 1: 32 years, P5, GW 8 (at admission) GW 14 (at ECT start). Schizophrenia, melancholic syndrome (Psychotic with strong anxiety) Last 4th child born recently. Case 2: 32 years, GW 10 (at admission) GW 14 (at ECT start). Case 2: Baby boy, born full term. Case 2: 10 ECTs between 18–34 GW and 4 ECTs later due to relapse. Case 1: Not seen again after 5 months pregnant but replied to questionnaire 1 year and 5 months later. No anesthetic agent, but muscle relaxant curare given before each treatment. ECT voltage set at 120 and 60-cycle current (sine wave) applied for 0.1-0.2 s.
Case 5: moderate symptom improvement from ECT, at 9 months postpartum still mentally ill.
Case 6: symptoms improved after ECT, but at 8 months postpartum still mentally ill.
Schizophrenia with hebephrenic and catatonic, features. Case 1: After 2nd ECT vaginal bleeding. No vaginal bleeding after 3rd ECT. Case 1: Obstetric examination normal progress of pregnancy. No delivery data. Case 1: No child data. Case 1: ECT failed to give complete recovery. 3 times weekly first 2 weeks, then 2 times weekly. Case 1: 35 years, P4, GW unknown. Case 2: 31 years, GW 18–21 (5 months pregnant) at admission and GW 22–26 (6 months pregnant) at ECT start. Case 3: 33 years, P4, GW 14–17 GW (4 months pregnant). Case 2: 30 ECTs, 3 times weekly (26 grand-mal and 4 petit mal seizures). Case 1 : Miscarriage (abortion), fetus 6 in. Case 1: Treatment suspended for 10 days after abortion. Catatonic, mute refusing to eat. History of previous 19 insulin shock treatments. [Case 2, insulin shock: 32 years, P5. Psychoneurosis, conversion hysteria with depression. Case 1: Spontaneous delivery after 9 h of labor. Case 1: Baby boy, 3,270 g. No abnormalities detected. Baby progress normal.